I update from vROps 6.5 to 6.6. The admin page shows a successful update. After i login to the main page the “loading resources..” loops. It turns of out Chrome with uBlock Origin EasyPrivacy filter was the cause. 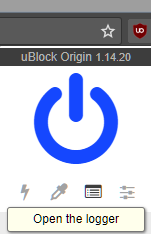 Open the logger of the uBlock Origin icon. Reload the vROps web page You can see the red for heatmap.js and clarity-*.js due to the EasyPrivacy filter. 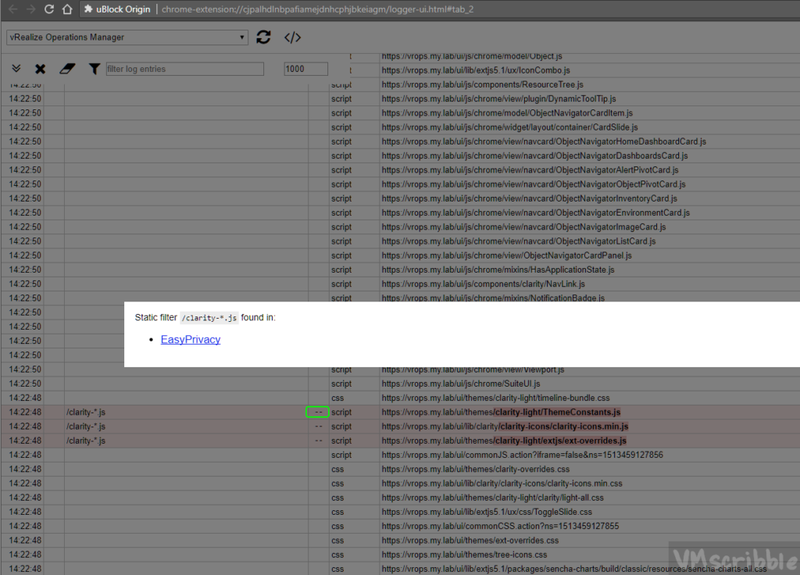 Whitelist the vROps url and click Apply Changes. Reload the web page. The logger should not have anymore red.